TAS 499: Ask Scott #155 – Is This Feedback Hack Legal? – Any Benefits for Low Margin Products? – How to Form Partnership? How are your efforts toward building your ecommerce business going? Do you find yourself in need of some encouragement while you plow ahead? You’ve come to the right place! It’s time for another session of Ask Scott here on The Amazing Seller! On this episode, you’ll hear from Scott as he shares his thought of the week and tackles some answers to questions from TAS followers like you. Have pen and paper ready as Scott covers feedback hacks, using credit cards to bankroll products, how to form a business partnership and more. You don’t want to miss a minute of this engaging episode! One thing leads to another, so TAKE ACTION! While getting started with your ecommerce business may sound scary and daunting, it doesn’t have to be. As Scott often says, chuck it down. The truth of the matter is, one thing will lead to another which will lead to another, and before too long, you’ll have success piled up. But if you remain constantly intimidated by the big idea of starting your business, you’ll never get started. Pick one thing that you can do today and TAKE ACTION! To hear more about this pivotal step, make sure to listen to Scott’s words of wisdom on this episode of The Amazing Seller! Don’t fall for gimmicks and hacks. What is the best way to reach out to your customers and increase your chances for positive feedback? Is it a good idea to include graphics and other tools to “Spice” up your email so it’ll encourage buyers to respond? On this episode of The Amazing Seller, Scott provides his perspective on this important topic. According to Scott, including graphics of any kind in your email to customers is a bad idea. One reason Scott offers is that of the formatting of images and graphics, your email is likely to end up flagged as spam or as a promotion. He also touches on the fact that it most likely would be against Amazon’s terms of service. If you’d like to hear more of Scott’s take on this topic, make sure to listen to this episode. Why it’s important to cautiously enter into a business partnership. Is it a good idea to enter into a business partnership as you look to build your ecommerce business? Are there any tips for making this happen successfully? What are some things to look out for? On this episode of The Amazing Seller, you’ll hear from Scott as he gives his take on business partnerships. Scott says that a business partnership can be a really good idea and increase the chances for a brand to become profitable because you’ll have two people with vested interest in making sure the business succeeds. However, he cautions that like all relations, you’ve got to make sure that the person you are partnering with is the right fit for your personality. Learn more about business partnerships on this informative episode! [4:00] Scott’s thought of the week. [10:20] Question #1: How can I add graphics in my emails to customers for feedback? [15:30] Question #2: Is it a good idea to bankroll a product via credit card? [19:30] Question #3: What is your advice for bringing on a business partner? [26:20] A funny story from a TAS listener. …I got to stop here. I got to call a timeout. Kevin, if you’re listening, I know a referee guy named Kevin. Kevin, if you’re listening, call a timeout, man. I need to call a timeout here because we’re in Episode 499. Did I really just say that? Crazy. Crazy. Crazy. And I can’t wait for Episode 500. I got something special planned for you guys so you’re definitely going to want to tune in there. Now, let me talk a little bit about what we’re going to be covering here today and then we’ll get into we’ll get into some stuff. So, first off, we’re going to talk about is this feedback hack legal? There’s something that someone is thinking they might want to do because they heard they could and they want to know if it’s legal so we’re going to talk about that. We’re also going to talk about any benefits for low margin products and we’re also going to be talking about how to form a partnership and some things around that. All right. So, that’s what we’re going to be discussing just to kind of give you guys a heads up but before I do, I do need to remind you that the show notes can be found at TheAmazingSeller.com/499. Man, I can’t believe 499 but anyway yet we’re still here. So, the other thing is if you want to ask a question, you can definitely do that by heading over to TheAmazingSeller.com/Ask and you can go ahead and ask a question. All I ask you is to just leave a brief question and also your first name and maybe where you’re tuning in from. I always like to know where you guys are tuning in from. Now, before we do jump into today’s episode, I got a couple of things I wanted to mention and one thing I just kind of wanted to talk about as far as you guys know my weekly thoughts. [00:02:01] Scott: But first off, a little bit of an announcement here. Some of you know that we recently opened up our Product Discovery Bootcamp and it was in beta. What I mean by that is we had about 100 people, just over 100 people in our beta class. We actually we filled it in less than seven minutes when we announced that, and we were only going to take 100 but before we could turn it off, we actually had about 110 I think it was in there so then we finally shut it down and seven minutes later we were filled. The cool thing is, is we went through that entire process with a class and the whole idea here was to go through the training that we wanted to deliver, and we did it in a live fashion. We got on once a week on the weekends generally and we went through this process together. And Chris and I went through it as if we were going to be starting from scratch with no product idea, no market idea, nothing, and we went through the entire process. And at the end of the four weeks, we actually have a market that we’re interested in and that we found three to five products, actually we found a lot more products, and it’s where we actually go through and show you exactly what we’re doing and then you’re doing it along with us. It had a lot of great, great stories after completing that. A lot of people have a lot better clarity and vision and focus now of what they’re going after. And really, it’s about going after and finding the market and then finding products to serve to that market and submarkets and all that stuff. But the reason I’m mentioning it is because now we are open to the public. So, if you have not jumped in yet, you can definitely go check out all the details by heading over to ProductDiscoveryBootcamp.com. So, again that’s ProductDiscoveryBootcamp.com and again it’s a four-week training and it’s pretty awesome. Chris and I are actually going through reviewing our own product, showing you on camera us getting our samples after we’ve went and did some outreach and stuff but enough on that. But if you’re interested in that at all, definitely head over and check it out. It’s pretty awesome. We’re really proud of it because it came out really good and a lot of people are getting some really awesome results. So, definitely go check that out. [00:04:07] Scott: All right. So, let me kind of talk a little bit about what’s on my mind and then we’ll dive into these questions. All right. Now here’s what I want to talk about. One thing leads to another. What the heck does that mean? Well, let me kind of dig in here a little bit. I was recently in Orlando, Florida and I was attending an event called Funnel Hacking Live. It’s actually more or less for like sales funnels and really about building your business, growing your business with physical product, with digital products, basically everything. So, anyway, it was a great event, but I actually ran into one of our listeners. Actually, I ran into a bunch of listeners. We actually had a meetup there and everything. About 40 of you showed up which was pretty awesome. I got to meet a lot of you, but this one guy comes up to me and he says, “Hey, just want to let you know I’m a big, big fan, big listener of the show. You’ve helped me so much.” Now I’m not going to go into the entire story. [00:06:07] Scott: “And instead of learning all about the Amazon algorithm and all that stuff right now, let me go ahead and see if I can build a brand in this market with this one product.” Now, he’s still going to launch. I think he did launch on Amazon and he has other products that are sister products that will help each other but the main thing here that I took away and that he took away after doing this is he said, “This led me to wanting to figure out Facebook Ads and then from there learning how to create a sales funnel and then from there, how to understand how to get it to convert on the other end.” And by doing that, he learned Facebook Ads, he learned how to build the sales funnel, he learned how to get a converting offer, and he’s selling his product on a regular basis. Not even on Amazon on this one product but that also led him to another thing which was a partnership. So, now he’s working on another venture in a similar space but again all of these skills that he created along the way or that he learned along the way helped him get to where he is today and now he’s doing exactly what he wanted to do and he’s building a brand on and off of Amazon. But again, this never would’ve happened if he didn’t take action and do something and that’s really what I wanted to just kind of convey here to you guys is that you need to understand that what you do right now might not be the thing where you end up. It’s one thing that leads to another meaning you do something here, you learn it, and then you pivot a little bit and that could be pivoting like, “Well, I picked the wrong market. Maybe I should just go ahead and liquidate this and start over and pick a different market.” That might be the thing, but you don’t fail unless you stop. And all you have to do is just continue to learn the process. [00:07:58] Scott: I just had this conversation with another friend of mine and I’m like, “Listen, you need to fall in love with the process. Forget about if that’s a success right now. Yes, you want to strive for that but if you go and,” and I go back to like football and baseball. If you had a whole football season, the New York Giants this year. Terrible. My team by the way which any Dallas fans out there, don’t hate me. I still like you. But they’re terrible so what do they do? Give up? No. They adjust. They make moves. They pivot. They hire new people. They have to go back to the drawing board and figure out where did it go wrong. What happened? We used to have a successful season. Now we don’t. So, they have to look at it and say, “What do I need to do?” and they’re going to learn through that process. You need to fall in love with the process and understand that you’re learning skills throughout this entire journey. So, one thing leads to another. Again, just to give you my little example here. I started years ago with my wife in a brick-and-mortar photography business. That led us to then getting into the film transfer business. That led me to a product that I built for my business inside of there to help me transfer the films and then I started to sell that on eBay and I sold over $100,000 of that product. And then from there that taught me about online sales, taught me about physical products then I started hearing this thing about Amazon and then here we are. See, how things lead by doing but you have to actually get out there and do stuff and you can’t look at it as a failure. You have to go out there and say, “You know what, what I’m doing right now is just training me. It’s educating me to the next thing.” And I don’t mean jump from shiny object to shiny object to shiny object to shiny object. What I’m saying is if you learn Facebook Ads, you can pretty much take that Facebook Ads training and then apply it to another thing that you’re doing or the next business that you’re going to start or maybe you’re going to be a consultant. [00:09:53] Scott: A lot of my listeners start a business that gets their business going and then all of a sudden, they start consulting on the side for businesses that don’t want to launch their own products. They just want to sell in retail. That happens a lot but they’re learning a skillset and we’re all learning a skill set. So, just remember, one thing leads to another. All right. Don’t forget that. So, let’s go ahead and get ready to dive in here because we’ve got some questions we got to answer today. So, what do you say? Let’s do this. [00:10:24] Nick: Hi, Scott. This is Nick from Cincinnati. I want to thank you for answering some of my previous questions and I have two questions for you today. I’ll just cut straight to the chase. First was about email feedback sequences. When I purchase things on Amazon I’ve seen some sellers having feedback sequences that have graphics and maybe even have five little yellow stars that kind of make it look like it’s already a five-star review and it’s really attractive and easy to click something like that. I thought those were against terms of service and while my feedback sequence is per your recommendations are effective and I’m thankful for that, it seems like there’s an advantage with kind of using these graphics and things like that. I wanted to know what your thoughts were on that if anything had changed or what your recommendation is there. Number one, let me just talk about graphics in an email. I would stay away from graphics in an email not even because I think it’s against terms of service. I think it will lower your deliverability. That’s what I personally think because graphics a lot of times come through as if they are HTML or well they are HTML which anyone that’s listening, you don’t really need to know what that means. It just means that it’s another format in an email. It’s not just text and because of that, that can flag an email provider like Gmail, Yahoo, or whatever you’re using as being spam or being a promotion, so it could get dropped in the promotions tab, and then no one will ever see it. So, I like to leave those emails really clean, really plain, broken up really. I like to just maybe two sentences or in one chunk. So, if you’re asking for something or you’re talking about something, you want to break up that email so it’s scannable, but I would leave the graphics out personally for that reason alone. [00:13:23] Scott: Now, let’s talk about if it’s within terms of service. I don’t believe that Amazon would be okay with you putting a graphic in there especially of a five-star, something like that. I believe that that would be against terms of service. I didn’t look into this before I got on here, but I wouldn’t even entertain it myself personally. Now, I know there are some other tools out there which I’m not going to bring any attention to those but there are some that kind of have like a green checkmark or a red checkmark or some type of box so that way there it gives you like do this, don’t do this kind of thing, and there’s probably even some that are doing what you’re saying. I would personally stay away from that. Anytime that you are giving someone that push or the idea that they need to go leave a five-star review, that’s pretty scary ground right there for me because I don’t want Amazon to flag any of those messages or for someone to email Amazon and say, “I got this email from a seller and they’re trying to get me to leave a positive feedback or a positive review,” like I don’t want any chance of that and I definitely don’t want to do it with a graphic. So, I would say keep it clean. Now you said that the one that you’re using that I’ve talked about in the past, the very simple ask for feedback first and then after that ask for a review, you said it’s working really well. So, keep doing it like just keep doing that. Don’t change something that’s not broke. You don’t have to fix it. I know sometimes you want to make it better. I get it and we all want to kind of improve things but it’s kind of working. I move on to other things especially if it’s working. I would not want to jeopardize my account just to say I might get one extra one out of 100 because I did that. [00:15:20] Scott: I think you run more of a risk of getting in trouble for that whether it’s with a customer or not and also, it’s going to lower your deliverability. So, again, I would say no. All right. I wouldn’t do it. All right. So, let’s go ahead and listen to Nick’s second question and then I’ll give you my answer. [00:15:37] Nick: And then the second question is kind of totally unrelated. It’s actually about paying suppliers. So, I’ve done a few things through trade insurance and had good success with that and I have a supplier that I work exclusively through PayPal with. One of my products was kind of a breakeven type product. Sold quickly, sold well, but not a lot of profit once everything was said and done. But I got thinking if that was almost something that I could almost bankroll like credit card points, for example, it’s still almost in a way would be interesting to still pursue that whether it was just to accumulate points or maybe take advantage of a cashback on a card. Just curious what your thoughts were on that because I know there are some fees for credit card transactions. Curious to know if there’s an effective way that might be advantageous for some of your listeners to think about using for payment method. All right. Thanks, Scott. Thank you. Have a good one. [00:16:40] Scott: Okay. So, this is an interesting question. I’ve never been asked this question by the way as far as should I sell a product that’s not making any money, but I could make money on the points or the air miles or whatever like the frequent flyer miles or any of that stuff? Like, I’ve never had that question asked so, Nick, that’s a good question. But here is my answer. Number one, if all you’re doing it for your banking on getting 1% or even 2% cashback on your card for going through the trouble of selling a product and sourcing it and possibly getting stuck with it for whatever reason and there’s no margin there, there’s no room for movement there or growth, no, I would not do that at all. Now, this is another good tip for anyone listening. If you are purchasing on your credit card and you’re not getting points, you might want to change that like right now. That would be an instant bump for you because you will get a little bit back, let’s say it’s 1%. [00:18:36] Scott: Because again if you do it off of Amazon even if you fulfill it through Amazon, you can avoid the Amazon fees, not the pick and pack, but just the commission fees which could be $2, $3, $4 depending. So, that might be an option as well but if it’s converting, we know it’s converting then why not? Why wouldn’t we keep that going as long as we can lead people to our other products in our brand? All right. So, that’s the only way I would do that. So, hopefully, this helped you and anyone else out there that’s maybe at this position or in this position where you’re thinking to yourself, “It’s selling but I’m not making any money. If I raise the price, I don’t sell anymore.” Ask yourself those questions and then as far as the credit card thing goes, you should be definitely trying to purchase on a credit card that can get you some points back regardless. All right. So, that’s going to wrap up Nick’s question. Nick, thank you so much. Good luck. Keep me posted. Let’s go ahead and listen to one more question and I will give you my answer and then we’ll wrap this baby up. What do you say? Let’s do it. [00:19:36] Charles: Hi, Scott. This is Charles from Dallas. First of all, I want to say thanks for all the great podcast and content that you and Chris shared with everybody. It’s definitely very helpful for all those Amazon sellers. We do appreciate it. And my question is that I know that you and Chris have partners that you work with and I’m wondering what you recommend for bringing on a partner. Would you create a new LLC and a new Amazon account and what would be the process for going to Amazon and requesting a new account? Appreciate it. If you could, let me know and by the way, I will see you in Sellers Summit. [00:20:23] Scott: Hey, Charles. What’s up, man? Well, for those of you that don’t know Charles, he’s been at a few of the meetups and I’ve met Charles quite a few times now, probably three or four times and great guy. And, yes, thank you so much for this question, Charles, but thank you also for being a listener of the podcast and a supporter. I really truly appreciate it and, yeah, just want to say thanks, man. So, okay, let’s talk about this. We could’ve talked about this at Sellers Summit, but you didn’t want to wait that long. I get it. All right. So, let’s talk about this and it’s a good question. Now first off, let me just warn anyone that’s going into a partnership. If you’re going to a partnership you need to make sure that it’s a good fit for both parties. That’s number one. When my father and his partner were together for over 20 years, it was like a bad marriage so just to give you that before I go into partnerships. Now, I am in a partnership right now and it works really good because we each have our own strengths and we don’t really share the same strengths. We kind of do but not where I have to do what they’re doing, and they don’t have to do what I’m doing so we kind of have our separate rules and I think that’s important. So, just a little bit of advice there. That’s all. Okay. Not to scare anyone away from that. Okay. So first off, yes, if you’re going into a partnership unless you are going to not use your own account or they’re not going to use their own account for other things, you could always just use that and then make that the account as long as you’re not going to have other things coming into that account, some of theirs and some of yours. To make it clean, yes, you’re going to want to create a new seller’s account and you will want to create a new LLC and, on that LLC, there will be partners and basically, it’ll be like shareholders in a sense and you will be one of them, 50-50 or however you split it. Some people will do differently. Maybe it’s going to be 30-70, whatever it is. The reason why they don’t want you having additional accounts is because they don’t want you to sell your product in one brand and then sell that product in another brand. Okay. They don’t want you to do that. They don’t want you to create these basically listings that are the same brand even though you can do that with retail arbitrage but you’re really sharing that listing then. In this case, what you would be able to do with the seller’s account is you can sell the same products, just maybe branded differently on another one and then you have it on the one that you formed now. So, that’s why they don’t want you to do that but if you tell them that that’s not the case, right now you’re selling pet collars in the pet industry and that’s what that brand this but this brand over here is going to be all about barbecue stuff then it makes sense and you just have to let them know that. And then you’ll want to definitely keep this as a record so this way here you have that. [00:24:20] Scott: If anything ever happens, you can go back and say, “Well, wait a minute here. I’ve already went through all of the steps to get this cleared and I’ve got approval here,” and you’re probably going to want to get that approval in writing and in a verbal. The verbal obviously you won’t be able to go back and kind of track that, but they usually have a transcript that they can give you I believe and then you just save that. Okay. So, I would say, yes, you definitely want that and when you do the separate account, you’re going to have a separate checking account, separate EIN number, all of that stuff so it will be its own business and that’s why you will definitely want to have your own account unless like I said if you’re saying like, “Listen, I don’t mind using my account. I’m not going to be using my account for this brand that I’ve been doing,” or maybe you’ve been doing retail arbitrage for a long time and you’re like, “I’m going to get out of retail arb. I’m not going to do it anymore,” and you just want to use yours for the business. You’re going to have to make that the business now though. So, you’re going to have to change out your checking. You’re going to have change out the business name, the address, and then that way there your partner would be protected or you would be projected because now you are on that, you’ll have full access just as they would. The cleanest way would be to get a separate seller’s account. That’s the cleanest way. A little bit more involved, not much but a little bit but that would be the steps that I would do. Okay. So, Charles, hopefully, that helped you and again, thanks so much for the question and thanks so much for being awesome. I definitely enjoyed hanging out with you when we get that time together at these meetups and stuff and you’re always there. You’re a huge supporter of TAS and we definitely recognize that, so I appreciate you. Now, before we wrap this up today, I received another voicemail from a listener. Now it wasn’t a question. Well, it kind of was but it was kind of funny too. So, I want to play that for you right now and I think it’s funny and I think you’ll enjoy it and it’s kind of strange. So, just listen to it if you want to. If not, have an awesome day, weekend, whatever but if you want to laugh a little bit, definitely check it out. It’s kind of funny how things work. So, listen to this voicemail that I received from a listener. [00:26:24] Ben: Hey, Scott. This is Ben from Victoria, Canada. First off, I just want to say thank you so much for your podcast. Started listening back in October when I first learned about FBA and ever since then I’ve been hitting it full-time and actually just this last few days, my first product is live on Amazon so exciting times. Anyhow, I just wanted to reach out because I had a funny story and I had to share it. So, probably back in October on one of your podcasts, I know you were talking about you wanted to buy this mug from Starbucks where you’re like, “Ah, I don’t know. It’s really expensive,” and finally I think your wife just said like, “Buy the freaking mug.” And it was funny because I was telling my wife at that time the story because I was going through the exact same thing maybe like a week or so early. Really, I found this mug. I was like, “Oh, this was so cool. I just can’t.” I don’t know how much it was. It’s like whatever $15 or something. I was like I can’t spend that on a mug but it’s really awesome. And I remember telling her about the story and it was just funny that you are going through the same thing with some cup at Starbucks. And for whatever reason, every time when I’m drinking coffee out of my cup, I think back to that and I’m like, “God, I wonder what cup Scott got from Starbucks.” And just today for whatever reason it crossed my mind again. I was like, hey, I should just reach out to Scott and say thanks and ask this question. So anyhow, I was poking around on your Facebook page today and I see one of your videos. Lo and behold, what are you drinking out of? It’s the exact same cup that I also got from Starbucks and absolutely love and it’s my favorite cup. So, my question is, is that half white and half blue kind of mermaid bumpy texture square-handled cup your everyday go-to mug? And if so, that’s the same one I have, and it is an awesome cup so nice purchase. Anyhow, I had to share that story. Thanks for all the education and, yeah, keep crushing it. Thanks, Scott. Bye. [00:28:27] Scott: I mean, strange, right? Like, that’s crazy. So, Ben, thanks for sharing that and that is it’s really weird, right? I mean, I was looking at the same coffee mug as you were and you were kind of thinking it was cool but didn’t want to spend the $15 or whatever for a basic mug which really does give me a lot of pleasure. I enjoy that mug and, yes, I’m looking at it right now and it is my go-to mug by the way. I do use that mug a lot and I don’t know it’s something how when you have, I don’t know, something that makes you feel good, not just the coffee in it but the texture of it feels kind of cool too. It’s kind of weird but I don’t want to bore everyone with our obsession here with this coffee mug but anyway just wanted to kind of share that. I thought it was funny and it is kind of strange how things happen. All right, guys. So hopefully you found that funny. Go out there and find a mug that makes you feel good. It doesn’t have to be just the look. It could be the texture and this one here has a nice one. [00:29:25] Scott: So, all right, guys. That’s it. That’s going to wrap it up. Remember the show notes can be found at TheAmazingSeller.com/499. You can get all the show notes, the transcripts all over there and then also, if you are stuck in finding your market or your products, go over to ProductDiscoveryBootcamp.com. Check it out. See if it’s for you. We’ll help you get through that entire process. Super excited about that training. All right, guys. So that’s it. That’s going to wrap it up. Remember, as always, I’m here for you, I believe in you, and I’m rooting for you, but you have to, you have to, come on, say it with me, say it loud, say it proud, take action! Have an awesome amazing day, weekend, whatever time it is, and I’ll see you right back here on the next episode. Now go get that coffee mug or something that makes you happy. 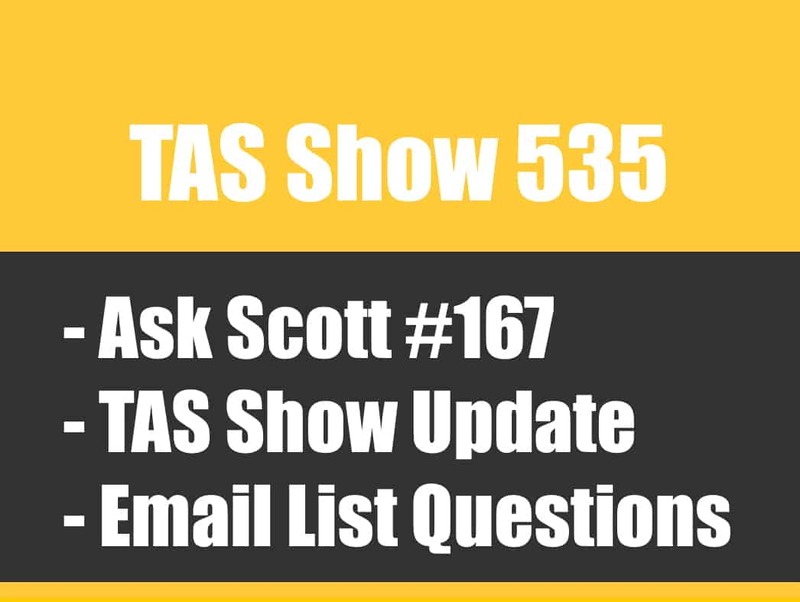 TAS 535: Ask Scott #167 – How Do I Profit With a Small Email List & Facebook Fan Page to Promote MY Brand? 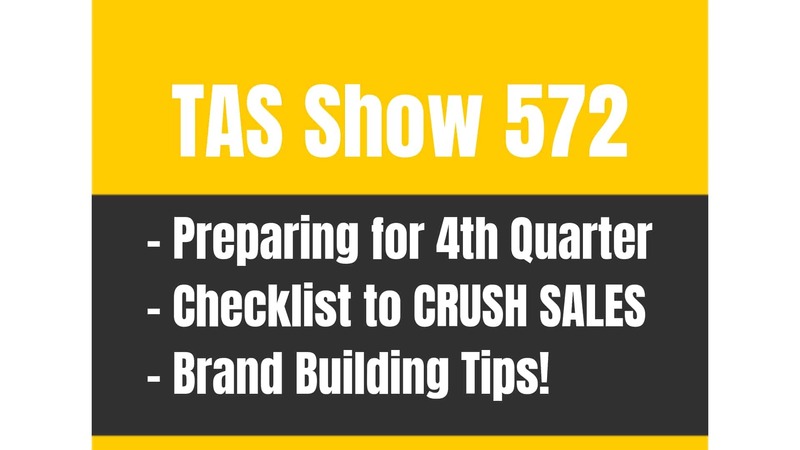 TAS 360: Tips for NEW and Current International Sellers to Help Get Started and Profit MORE!